​​HOUSTON - Skybox Houston One, a new data center in the Energy Corridor is open. The project, developed by Skybox Datacenters, sits on 20 acres at 22000 Franz Rd. in Katy. The 89,960-sf data center features four 10,000-sf private data center halls. There is also an option to expand the data center to 12 halls if demand calls for it. Skybox has leased one of the 10,000-sf halls to a Fortune 500 energy company, and demand has remained consistent due to Houston's energy and health care markets. Those two industries make up 65 percent of Houston's data center market, according to a recent JLL report. The Skybox opening is on the heels of two other Houston-area data centers that recently opened, as well. 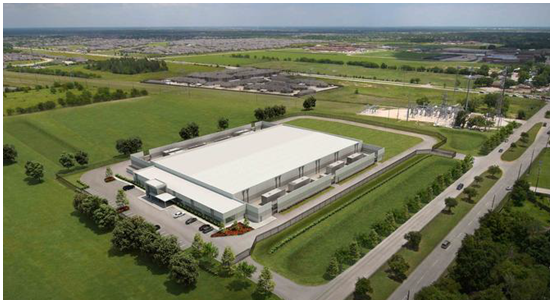 CyrusOne recently opened the first phase of its 640,000-sf Energy Corridor data center, and Data Foundry Inc. opened its north Houston data center in April 2015. In addition, the managing company of the Westland Bunker data center secured $33.5 million in financing. ​See Houston's Industrial Market Research to read the latest reports.